This summer, Ocean Park will take children aged 4-11 on a brand new journey in STEAM (Science, Technology, Engineering, Arts and Mathematics) and nature exploration with its “Summer Adventure 2018” which boasts a unique array of edutainment experiences. These include the opportunity to become theme park designers and create inspiring prototype designs; participating in flying demonstrations to understand how birds fly and trying their hand at creating their own airplane; getting up-close to amazing red-handed tamarins; finding out what enrichment items are preferred by golden snub-nosed monkeys; learning how to read the health of wallabies and koalas by examining their droppings; and learning about science concepts behind thrilling Park rides and attractions. Explorers will also be able to conduct interesting scientific experiments, as well as get involved in many more exciting and inspiring activities! Ocean Park’s “Summer Adventure 2018” will be open for public enrolment starting from 15 May 2018. Those enrolling between 4pm on 15 May and 3:59pm on 29 May 2018 will enjoy an early bird discount of 8%. “The summer holidays are a great time to try something new. Ocean Park’s ‘Summer Adventure 2018’ incorporates Nature Play and Experiential Learning to empower young explorers to discover the world and themselves at their own pace, and in accordance with their own interests. Through animal observation, group and individual challenges, and open-ended experiences, we aim to foster the development of logical thinking, as well as interpersonal, problem-solving and cooperation skills. All of this will take place in a supportive atmosphere aimed at cultivating a caring, confident and responsible attitude in the young explorers attending our camp programmes,” said Ocean Park Discovery & Education Director Isabel Li. With five camp programmes, two aimed at children aged 4-5, two aimed at children aged 6-8 and one aimed at children aged 9-11, there is something suitable for different age groups over the holidays. 1. “Little Explorers” (for children aged 4-5) will be able to participate in one of two different experiences. Team Redd explorers will get into the back-of-house area of exhibits and learn how to take care of different types of animals and become little zoologists. Team Justin explorers meanwhile will have the chance to become little scientists by teaming-up to explore Ocean Park and overcome different challenges through observing, hypothesising and experimenting as they learn about the relationships between animal motion and rides at the Park. 2.“Junior Explorers” (for children aged 6-8) will also be able to participate in two different experiences. Team Mark will turn explorers into junior zoologists as they explore different animal exhibits, including those housing red-handed tamarins and seals, to learn how inspirational ideas developed from watching animals have improved our lives. 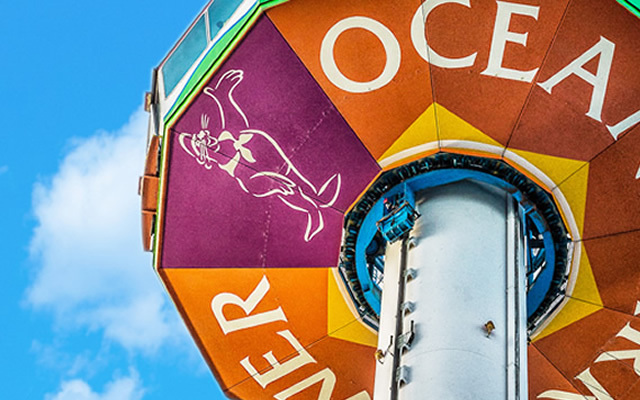 Team Whiskers will encourage its explorers to use their eagle eyes to observe, discover and understand profound mysteries behind attractions and exhibits at Ocean Park with a scientific mindset while learning about concepts like force, motion and gravity. ​3. Finally “Adventurous Explorers” (for children aged 9-11) will experience what it is like to be a theme park designer and will be given an opportunity to design an attraction which will enhance the guest experience at the Park. Great for kids who want to experience a night camp, this five-day programme also offers explorers the chance to spend a night in the Grand Aquarium. Here, they will be able to create a prototype design of their attraction. For details and enrolment, visit https://www.oceanpark.com.hk/en/education/adventure-camp.